Drug addiction is a complex disease. It is not simply a lack of good morals, and the ability to say no. It is a complex disease that results in the compulsive, and uncontrollable use of drugs, regardless of the harmful effects they may have on the body. The first time a person takes a drug, the choice is usually their own; however, repeated use leads the brain to begin to function differently. The person in question may no longer be able to resist urges that they could before, due to the brain changes that have occurred. The effects of drugs on the brain are enormous. During the time of the drug consumption, or use, the brain is filled with feelings of euphoria. At this time the chemical dopamine is also released into the brain. It is the dopamine which reinforces the need for that pleasurable feeling, regardless of how the habit affects your health in the long-term. There are a number of areas that could be affected by continued, and prolonged use of drugs and these include but are not limited to; memory, learning, judgement, decision-making, and the way in which they behave. It is almost impossible to pinpoint exactly who is at risk for addiction. 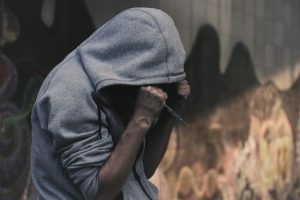 There are a number of factors that increase the risk, and the more of those factors present, the greater the risk of becoming addicted to drugs. The genes with which a person is born with may account for almost half of the risk factor. Suffering from any other mental disorders could also increase the risk. The environment in which a person exists plays a considerable part in the addiction process. Things like peer pressure and abuse are all major game changers. Drug addiction is not a choice. The addict is not weak, or immoral, but simply has no control over the need for the drug.